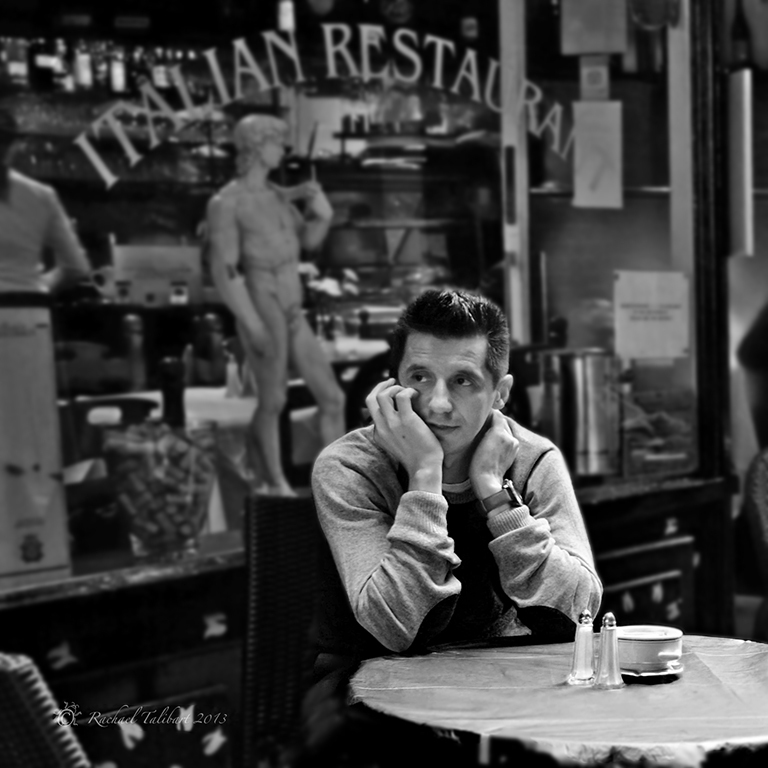 This is my favourite shot from my recent forays into street photography. Something about his expression. And the light. This entry was posted in photography and tagged Belgravia, black and white, black and white photography, candid portrait, Fuji X-E1, Italian, London, photography, portrait, street photography by Rachael. Bookmark the permalink. I would like to know what he is thinking. Maybe I wish he were thinking of me. 😀 Great photo. A beautifully composed image, with a gorgeous tonal range! Really good shot, very composed for a candid. Brilliant shot Rachael.. I love it ! Yep. A bit James Dean. The poor bloke’s in love.